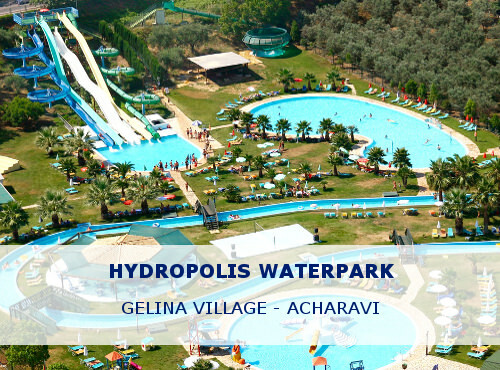 Hydropolis Corfu Waterpark is the second largest water park in Corfu island, located on the north coast in Acharavi village. The water park, extends over a large estate of landscaped gardens and has 6 giant slides, 4 mini slides and pools for water-babies, while it also offers all the facilities of a complete sports and leisure centre. If you are looking for a fun day out with the family, Hydropolis Corfu Waterpark can be just what you need. With its special facilities for children, Hydropolis is a paradise for the youngsters featuring a children’s pool with mini-slides adjoins, an adventure playground in the water. Hydropolis on Mondays and Thursdays offers special all inclusive tickets to its visitors. Keep in mind that during those days only all inclusive tickets are available. 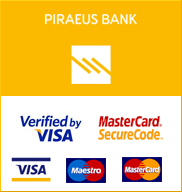 Hydropolis Corfu is easy to reach since the Kassiopi – Sidari bus passes the gate, with a stop just a few metres away. The waterpark is a few minutes walk from the centre of Acharavi and 10 minutes drive from Kassiopi.